Our integrated security systems are designed and installed in your business to detect and notify of attacks and break-in attempts. These systems expand the ordinary capability to a great variety of automation tasks as well as monitoring the assets of your business space. 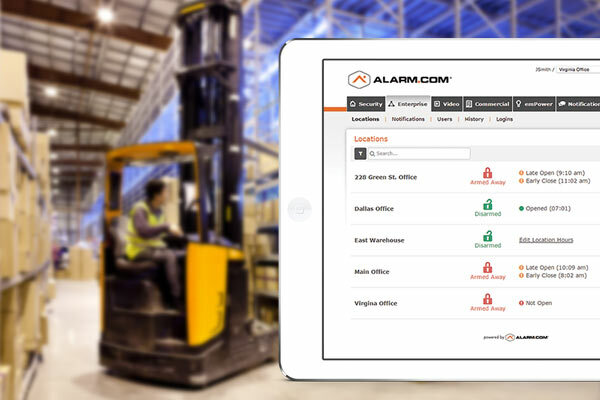 Other features include: flashing lights in the event of an alarm, scheduled lighting scenes to help prevent costly break-ins and be able to monitor your internal business daily with remote access on your mobile device even when you are away. Our alarm systems also make use of broadband or cellular chips for their connectivity so that if the power gets cut, they are still active. Take charge of your business’ security with alarm systems from Silent Guard!